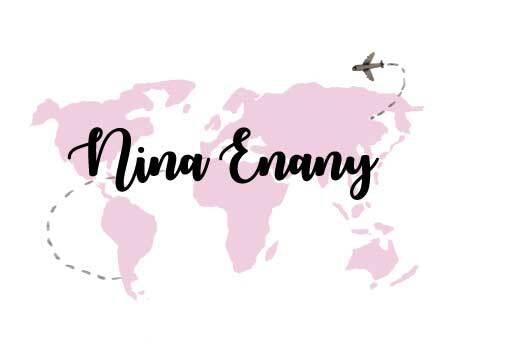 Most of my skincare routine products are based on Korea and I do like all about the K-Beauty. But this is my first want to try the skincare product from Skinmiso. I make some research about this brand and I saw many good reviews so I would like to try it. Actually, I have been bought two product of Skinmiso; which are Skinmiso Pore Corset Serum (30ml) (RM 118.00) and the Skinmiso Pore Beauty Nose Pack (3 Steps) 10 Weeks Program thru the Hermo. The Skinmiso Pore Beauty Nose Pack (3 Steps) 10 Weeks Program is price after discount is RM 76.32 and the normal price is RM 185.00. In this box have Nose Pack Step 1: 4ml x 10pcs, Nose Pace Step 2: 4ml x 10pcs, and Nose Pack Step 3: 15ml. The Skinmiso's nose pack contains safe and natural ingredients that can remove blackheads easily. This nose pack helps with getting rid of blackheads, decreasing the size of pores, and preventing blackheads in the future. The perfect blackhead removing system without any skin damage. 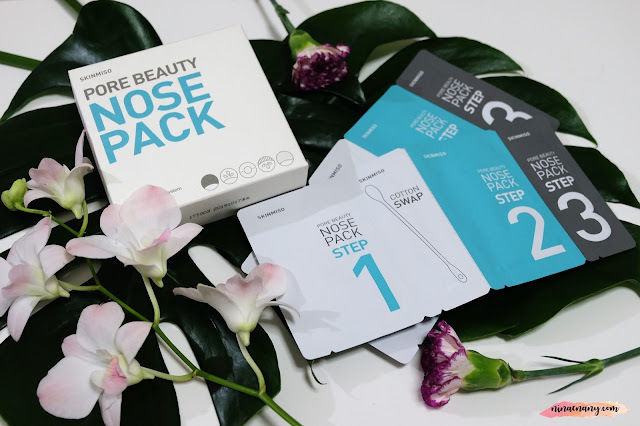 The Pore Beauty Nose Pack is a unique blackhead removing the system that is designed to completely remove blackhead from within the skin without causing any skin damage. It is gentle and very effective 3 step system that perfectly removes blackhead. Blackhead & Whitehead Removal Mask. The first step mask sheet, it helps to remove blackheads and whiteheads by using eco-friendly plant extract to melt skin sebum instead of forcefully extracting them. Contraction & Calming Mask. The second step mask sheet, it helps tighten up the opened pore and calm the skin pores without any irritation. Pore Beauty Silky Essence. The third step silky essence, it helps to control sebum and face oil to maintain skin moisture balance. Wash your face with tepid water and stick the first blackhead mask on your nose right in the middle for 10 minutes. After 10 minutes, removes the first blackhead mask and remove the leftover blackheads and whiteheads using a cotton swab or our extra selling sebum removal stick. Wash your nose lightly around the area you want to treat and put on the second pore soothing mask for another 10 minutes. After that, take off the pore care mask and rub in the essence. Apply the third pore control essence on your nose. Rub the essence into your nose and you are finished. I just do this once a week, normally at weekend. So far, I like the way its treat my pores, especially on the nose area. I can see my pores is tighten and small if to compare it before this. It does also don't make my skin damage. I like this product so much and the result makes me happy. I would like to give the 4.8 stars out of 5 stars to the Skinmiso Pore Beauty Nose Pack (3 Steps) 10 Weeks Program. I also would like to repurchase this product again in the future, especially when it has sales.